A study was performed to check the effects of various sources of sulfur on microbial activity, microbial population, N mineralization and organic matter content in an alkaline calcareous soil by using soil samples collected from Malakandher Farm at 0-20 cm depth, and analyzed for microbial activity, total mineral nitrogen, bacterial and fungal population and organic matter content. The results showed that the rate of CO2 evolution and cumulative CO2 production were higher in soils amended with elemental sulfur followed by sulfuric acid and gypsum treated soils. The microbial activity decreased with incubation period in all treatments, and the microbial population was greatly affected by sulfur sources. Generally, the bacterial population decreased in soils amended with elemental sulfur, but the population was higher in soils amended with gypsum. Bacterial population was suppressed in soils treated with sulfuric acid. However, the fungal population was higher in soils amended with sulfuric acids was less in soil amended with elemental sulfur. The sulfur amendments promoted immobilization of N. The net N immobilized was higher in soil amended with gypsum followed by soils amended with sulfuric acid and elemental sulfur. The percent organic matter was higher in soils amended with gypsum and was decreased compared with that amended with elemental sulfur or sulfuric acid. These results suggested that soil microbiological properties changed with sulfur amendments during laboratory incubation. 1. Zhao FJ, Salmon SE, Withers PJ, Monaghan JM, Evans EJ, Shewry PR, McGrath SP. Variation in the bread making quality and rheological properties of wheat in relation to sulphur nutrition under field conditions. Journal of Cereal Science. 1999; 30(1):19-31. 2. Hernández T, Garcia C, Reinhardt I. Short-term effect of wildfire on the chemical, biochemical and microbiological properties of Mediterranean pine forest soils. Biology and fertility of soils. 1997; 25(2):109-116. 3. Acea MJ, Carballas T. The influence of cattle slurry on soil microbial population and nitrogen cycle microorganisms. Biological Wastes. 1988; 23(3):229-241. 4. Pietikäinen J, Fritze H. Clear-cutting and prescribed burning in coniferous forest: comparison of effects on soil fungal and total microbial biomass, respiration activity and nitrification. Soil Biology and Biochemistry. 1995; 27(1):101-109. 5. Aspiras RB, Allen ON, Harris RF, Chesters G. The role of microorganisms in the stabilization of soil aggregates. Soil Biology and Biochemistry. 1971; 3 (4):347-353. 6. Vázquez FJ, Acea MJ, Carballas T. Soil microbial populations after wildfire. FEMS Microbiology Ecology. 1993; 13(2):93-103. 7. Wollum II, AG. Cultural methods for soil microorganisms. In: Page, Miller RH, Keeney DR. (Eds. ), Methods of Soil Analysis. Agronomy No. 9. (2nd Ed.) ASA. SSA. Madison, WI. USA. 1982; 781–801. 8. Nelson DW, Sommers LE. Total carbon, organic carbon, and organic matter. Methods of soil analysis part 3, chemical methods. 1996: 961-1010. 9. Gupta VV, Lawrence JR, Germida JJ. Impact of elemental sulfur fertilization on agricultural soils. I. Effects on microbial biomass and enzyme activities. Canadian Journal of Soil Science. 1988; 68(3):463-473. 10. Bewley RJ, Stotzky G. Effects of combinations of simulated acid rain and cadmium or zinc on microbial activity in soil. Environmental research. 1983; 31(2):332-339. 11. Bitton G, Boylan RA. Effect of Acid Precipitation on Soil Microbial Activity: I. Soil Core Studies 1. Journal of environmental quality. 1985; 14(1):66-69. 12. McColl JG, Firestone MK. Cumulative Effects of Simulated Acid Rain on Soil Chemical and Microbial Characteristics and Conifer Seedling Growth 1. Soil Science Society of America Journal. 1987; 51(3):794-800. 13. Killham K, Firestone MK, Mc Coll JG. Acid Rain and Soil Microbial Activity: Effects and Their Mechanisms 1. Journal of Environmental Quality. 1983; 12(1):133-137. 14. Bewley RJ, Parkinson D. Effects of sulphur dioxide pollution on forest soil microorganisms. Canadian journal of microbiology. 1984; 30(2):179-185. 15. Maynard DG, Germida JJ, Addison PA. The effect of elemental sulfur on certain chemical and biological properties of surface organic horizons of a forest soil. Canadian Journal of Forest Research. 1986; 16(5):1050-1054. 16. Bajpai PD, Gupta BR, Singh C. Some Microbiological Studies in Salt-Affected Soils—II. Effect of Gypsum and Mulch on Selected Soil Microflora and Evolution of Carbon dioxide. Journal of the Indian Society of Soil Science. 1976; 24(1):48-52. 17. Anderson DL, Tuovinen OH, Faber A, Ostrokowski I. Use of soil amendments to reduce soluble phosphorus in dairy soils. Ecological Engineering. 1995; 5(2-3):229-46. 18. Stroo HF, Alexander M. Role of Soil Organic Matter in the Effect of Acid Rain on Nitrogen Mineralization 1. Soil Science Society of America Journal. 1986; 50(5):1219-23. 19. Sarwar G, Ibrahim M, Tahir MA, Iftikhar Y, Haider MS, Noor-Us-Sabah NU, Han KH, Ha SK, Zhang YS. Effect of compost and gypsum application on the chemical properties and fertility status of saline-sodic soil. 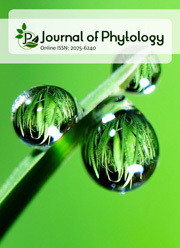 Korean Journal of Soil Science and Fertilizer. 2011; 44(3):510-516.